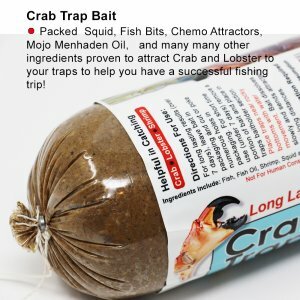 Works great for crabs, lobster, shrimp and crawfish too! Long Soak Times: Poke 6-10 pencil sized holes near one end of the tube. Place in the trap bait holder to prevent crabs for eating all bait prematurely. 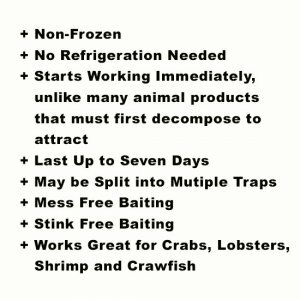 Bait will slowly disperse lasting up to seven days. The longer it soaks, the more attractive it becomes drawing crabs and lobsters from long distances down current. Multiple Traps/Medium Soak Time: Cut bait in half and leave plastic wrapper in place. Bait will disperse from end only. Short Soak Times: Remove bait from plastic wrapper. Place in trap bait holder box. Expect to last 24-48 hours depending on current. Crab and lobster move and feed mainly at night. 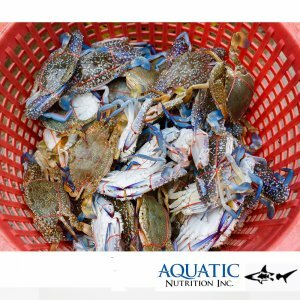 Soaking traps overnight will greatly increase your success. Place traps where currents are likely to carry scent over areas where crab and lobster hide, such as rocky areas. The longer the soak, the higher the success. Tides push scents back and forth attracting from all directions. 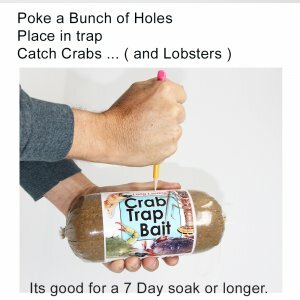 One crab or lobster in the trap helps attract others. Leave one in the trap to help bring the others around.